This past May my Dad passed away from brain cancer. He was such a wonderful man who would do anything for anyone. Who loved his family, his friends and his church. During his final weeks Dad was admitted into the hospital, though he wanted to pass at home, the care he required was more than we could handle. His time there was long with many struggles but he was so loved and cared for by both the Dr and the nurses that when we couldn't be there we knew that he was loved. As a thank you to the nurses I created this t-shirt letting them know that we appreciated everything that they could do for our Dad and that it was very appreciated. I am also offering this for sale $36.00 including taxes plus shipping, with portion going to a scholarship in my Dad's name to the Nursing program at Algonquin College. 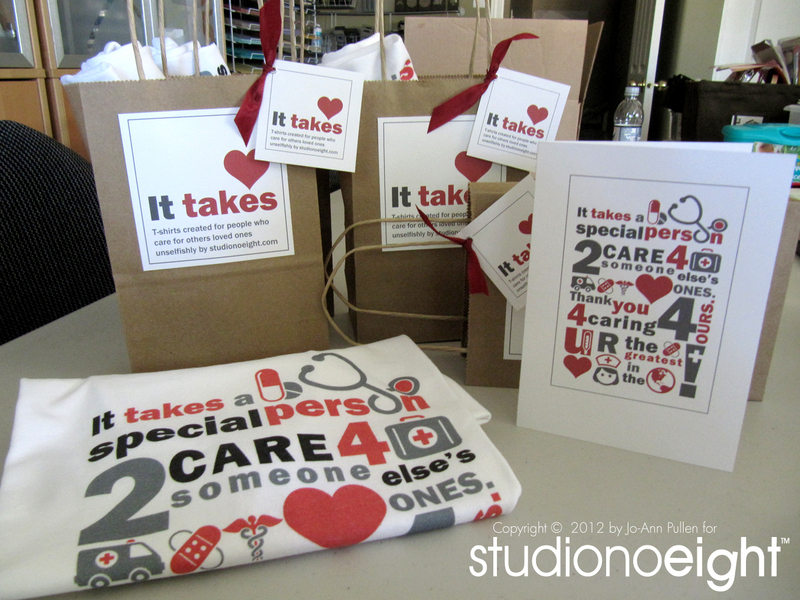 Order your t-shirt today and let our nurses know they matter! Ladies' Gildan Ultra Cotton(R) t-shirt 10.1 oz 100% cotton with taped neck and shoulders. Double-needle stitching throughout for increased durability. Quarter-turned body with no side seams. Pre-shrunk. Seamless double-needle collar in 5/8" rib knit. Ordered in lots of 5 please allow 5 weeks for delivery. Each t-shirt comes with its own bag and gift card. It is Christmas Time in the Studio! Looking for a Reason to Finally Install MDS?